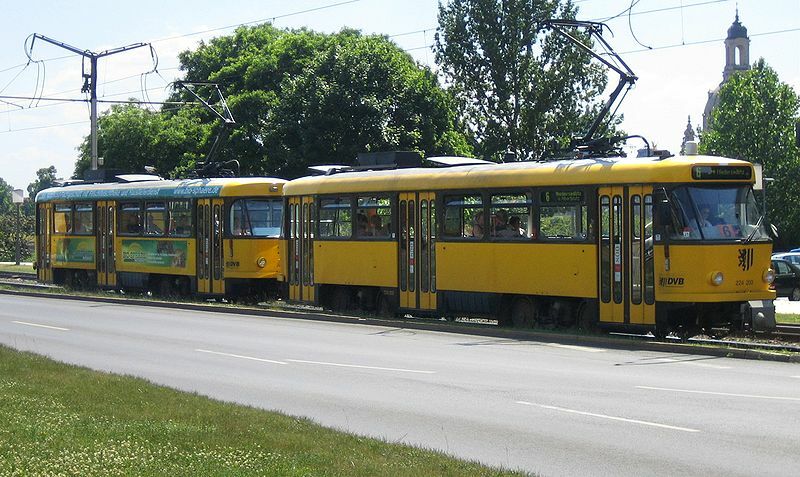 The Dresden tram network just before the line to Hainsberg was replaced by buses. 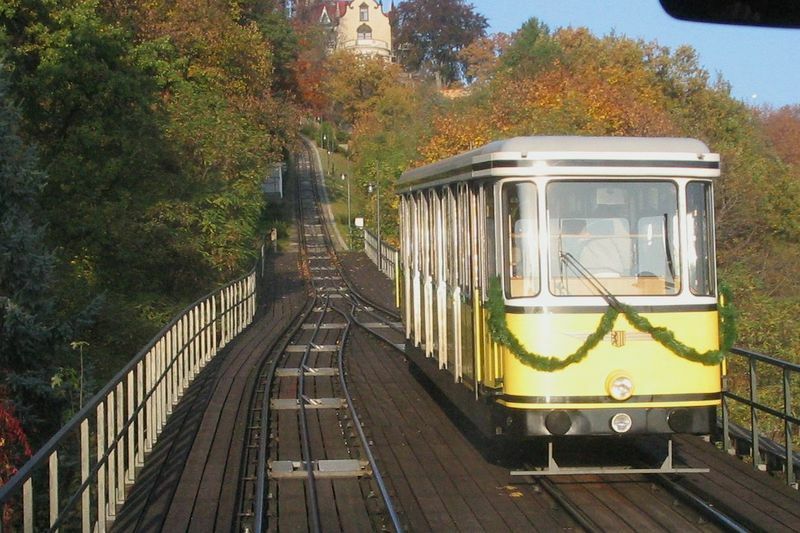 There is a museum devoted to the history of trams in Dresden called the Straßenbahnmuseum Dresden. 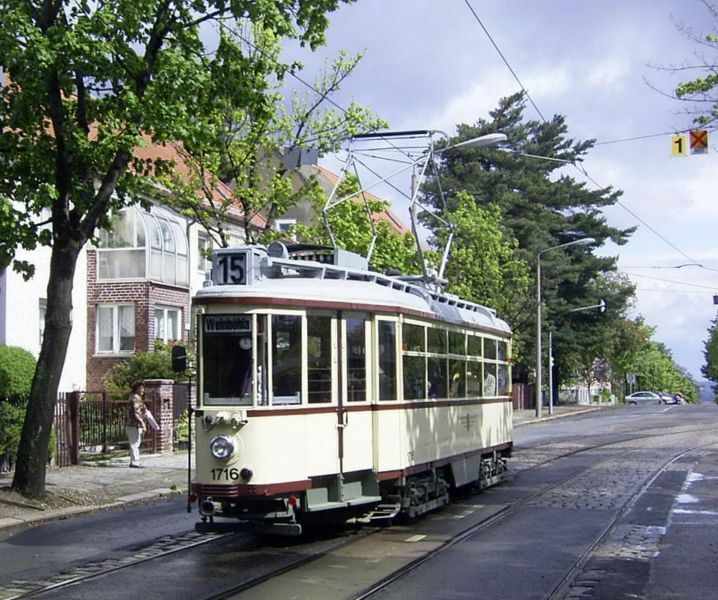 It has a large number of preserved tramcars, which are occasionally run on city streets . 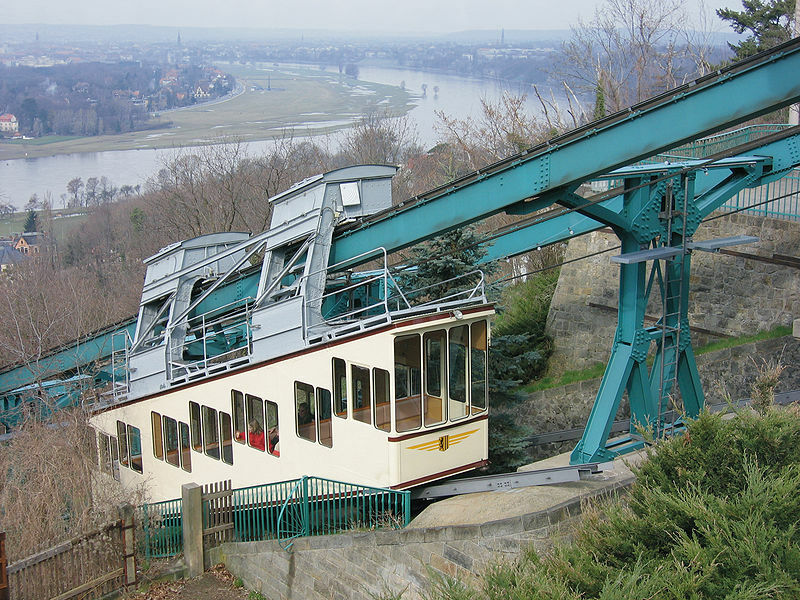 The museum is in Trachenberge, northwestern Dresden. Price, J.H. 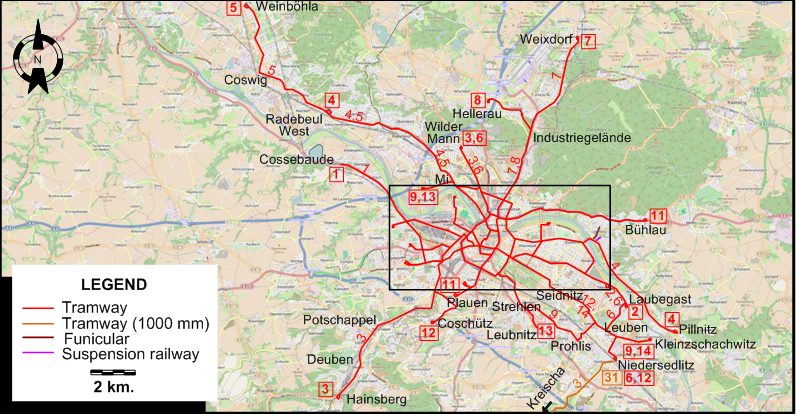 "Sightseeing by historic tram - A personal view of Dresden" Light Rail & Modern Tramway, July 1995 (58: 691), p.219.